Fun for the whole family! 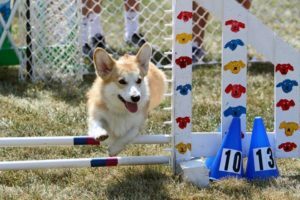 There’s so much to do at Ludwig’s Corner Horse Show and Country Fair. More fun for all the kids in our Midway. 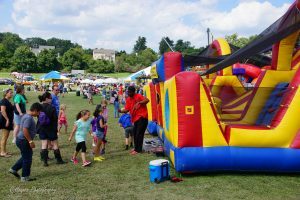 Inflatables, rides and games will be enjoyed by the younger crowd. Buy a wristband for all day fun! And don’t forget about the shops! Many local and out of the area shops come to share the same tent atop the LCHS midway. Vendors offer everything from antiques to handcrafted jewelry, fine art to fashions and everything in between. The main reason we exist! 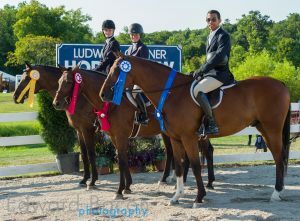 We are one of the best shows for young and old equestrians to compete in locally-rated competition in Hunters, Jumpers & Equitation. The Horse Show starts at 8 am each day and continues thru to dusk. Saturday Main Ring competition begins with Thoroughbreds from off the track showing in Hunters. Local horses ride over fences and under saddle in the Fox Hunters, Handy Hunters & Side Saddle. Hunt Teams and our Family Class round out the day. At 12:00 noon the Kimberton Hunt Club hosts a Mounted Parade of Hounds and the Thorncroft Mainstreamers provide the afternoon entertainment. Rings 2 & 3 feature Lead Line, Hunters, Equitation and Medal classes throughout the day. Hunters are judged on manners, way of moving, style, performance over fences, overall brilliance of the round. Suitability of mount and rider to count in pony classes. Equitation classes are judged on the rider’s hands, seat and control of mount. 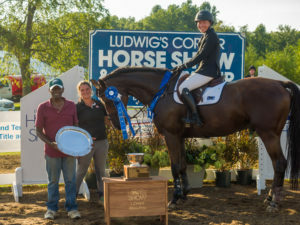 Sunday Main Ring competition features Children’s & Adult Amateur Hunters, Low Hunters as well as riders and horses competing for ribbons and prize money in the LCHSA Hunter Derby and Pony Derby. 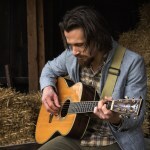 Horses compete over fences typically found in the hunt field, riders are required to wear formal attire for the Derby. 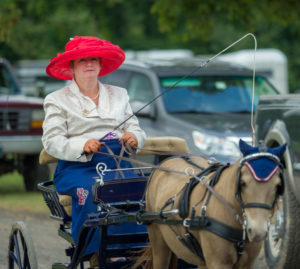 The annual Carriage Exhibition & Pleasure Drive is featured approximately at 2:00 PM. Rings 2 & 3 feature more Hunter & Equitation classes. Monday Main Ring competition begins at 7:30 am and features Jumpers all day. A M&S League Child/Adult Amateur Jumper Classic is in the late morning, with the LCHSA Jumper Classic – Mini-Prix competition about 3 pm. 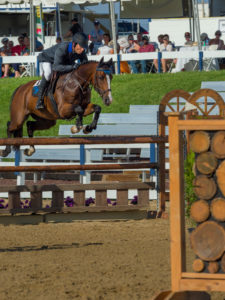 Jumpers are judged on time and clear rounds, lest they are penalized for time faults and downed rails. The Foot Parade of Hounds and the Valley Forge Military Academy & College Mounted Color Guard provide entertainment mid-day. Rings 2 & 3 feature Ponies and Horses competing in more Hunter divisions, Itty Bitty Jumpers, Pony Jumpers, Hopeful Jumpers and TIP Jumpers. The LCHSA Invitational Hunter Derby ends the day in Ring 2. 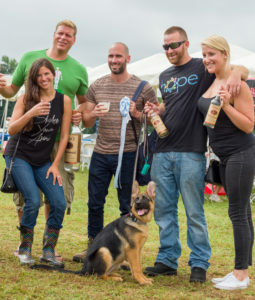 The Trophy & Awards tent is located between the Main Ring & Ring 2. The Labor Day forecast calls for early morning fun followed by scattered smiles throughout the day.